Close up detail of our map work. We offer a wide selection of woodworking projects and our style of crafting leans towards the rustic country vibe. Purchases cannot be made directly here. Simply contact us with your interest along with shipping address. We also welcome local pick up. 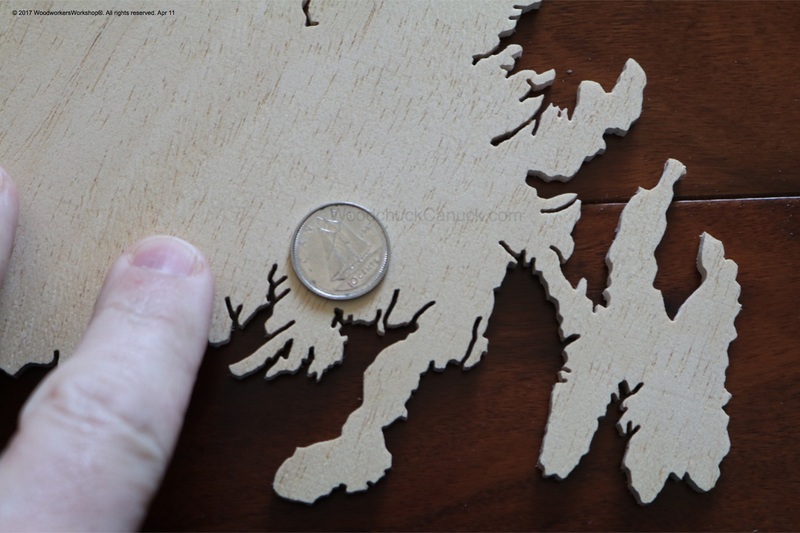 For the maps, I cut the maps guided by my own hand, I do not use CNC machines. I can cut a map of pretty much any area whether it be a province or state or country, region within one of those areas, lake area, cottage country, etc. Or pretty much anything else you can think of. Sizes can vary by an inch in either direction for maps and backboards. We also accept custom requests, send us a picture of something you’ve seen or call us to discuss your specific request.